* All titles in this book are proven to be time-tested Christmas favorites that can be enjoyed by both kids and adults. * Care has been given to help make the music easy to play. * All selections are arranged in traditional five-finger style, with the melody split between the hands and without key signatures in the solo part. * Dotted quarter notes, triplets, and sixteenth notes have been avoided. * All melodic arrangements have optional duet accompaniments for the fullest sound and maximum playing fun! 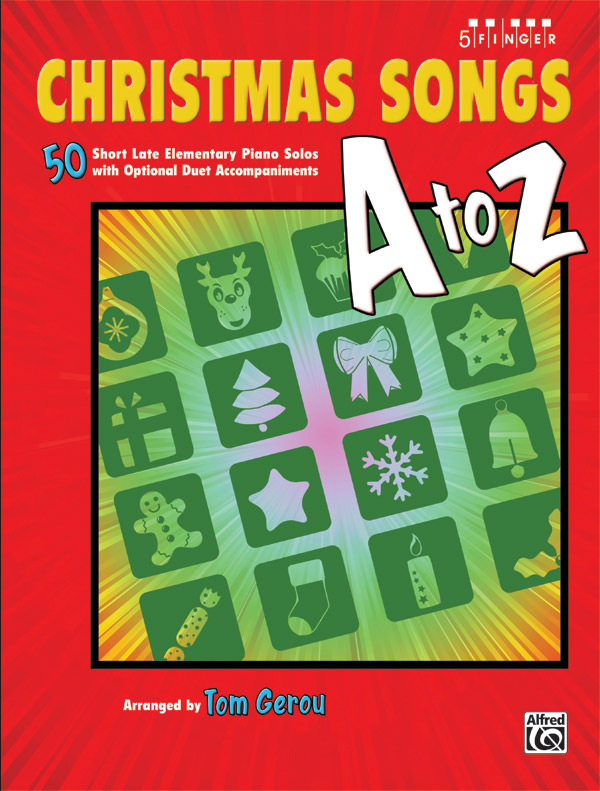 * Titles: All I Want for Christmas Is My Two Front Teeth, Angels We Have Heard on High, Arabian Dance (from The Nutcracker), Away in a Manger, Believe (from The Polar Express), Chinese Dance (from The Nutcracker), The Christmas Waltz, Dance of the Reed Flutes (from The Nutcracker), Dance of the Sugar Plum Fairy (from The Nutcracker), Deck the Halls, Feliz Navidad, The First Noel, Frosty the Snowman, God Rest Ye Merry, Gentlemen, Good King Wenceslas, Hark! The Herald Angels Sing, Have Yourself a Merry Little Christmas, A Holly Jolly Christmas, (There's No Place Like) Home for the Holidays, I Saw Three Ships, I'll Be Home for Christmas, It Came upon the Midnight Clear, It's the Most Wonderful Time of the Year, Jingle Bell Rock, Jingle Bells, Jolly Old Saint Nicholas, Joy to the World, Let It Snow! Let It Snow! Let It Snow!, The Little Drummer Boy, A Marshmallow World, O Christmas Tree, O Come, All Ye Faithful, O Little Town of Bethlehem, Overture (from The Nutcracker), The Polar Express, Rockin' Around the Christmas Tree, Rudolph the Red-Nosed Reindeer, Russian Dance (from The Nutcracker), Santa Claus Is Comin' to Town, Silent Night, Sleigh Ride, Spirit of the Season (from The Polar Express), Toyland (from Babes in Toyland), Up on the Housetop, Waltz of the Flowers (from The Nutcracker), We Three Kings, We Wish You a Merry Christmas, When Christmas Comes to Town (from The Polar Express), Winter Wonderland, 'Zat You, Santa Claus?